The Great Apostasy spoken of in Scripture undoubtedly refers to our times. Christianity is in a state of such steep decline in the Western world that Pope John Paul II called for a "New Evangelisation" to bring back the countless lost sheep led astray by the temptations of deism, agnosticism and atheism, and their bedfellows moral relativism, egoism and hedonism. We have familiar experience of the order, the constancy, the perpetual renovation of the material world which surrounds us. Frail and transitory as is every part of it, restless and migratory as are its elements, never-ceasing as are its changes, still it abides. It is bound together by a law of permanence, it is set up in unity; and, though it is ever dying, it is ever coming to life again. Dissolution does but give birth to fresh modes of organization, and one death is the parent of a thousand lives. Each hour, as it comes, is but a testimony, how fleeting, yet how secure, how certain, is the great whole. It is like an image on the waters, which is ever the same, though the waters ever flow. Change upon change—yet one change cries out to another, like the alternate Seraphim, in praise and in glory of their Maker. The sun sinks to rise again; the day is swallowed up in the gloom of the night, to be born out of it, as fresh as if it had never been quenched. Spring passes into summer, and through summer and autumn into winter, only the more surely, by its own ultimate return, to triumph over that grave, towards which it resolutely hastened from its first hour. We mourn over the blossoms of May, because they are to wither; but we know, withal, that May is one day to have its revenge upon November, by the revolution of that solemn circle which never stops—which teaches us in our height of hope, ever to be sober, and in our depth of desolation, never to despair.... (John Henry Newman, The Second Spring, 1852 - for the full sermon go here). But who are these Two Witnesses? Can we find any reference to them in the private revelations of Catholic saints and visionaries? 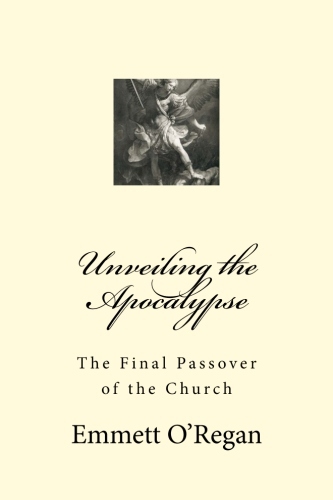 In my book I argue that we can indeed find allusions to the Two Witnesses in two figures who stand out in Catholic prophecy - one possibility is the "martyr-pope" or "angelic pope" foretold in numerous prophecies, and the other may possibly be found in the person of the "great monarch". "that May is one day to have its revenge upon November"
Yet another great insight Fed! So this ties the Second Spring back to the first apparitions of Our Lady of Fatima on 13th May, 1917 and the Miracle of the Sun on the 13th October - which immediately preceded the Bolshevik Revolution. It looks like the Second Spring and future conversion of Russia will be the revenge of Our Lady of Fatima. Could the 2 Witnesses have something to do with the Spirit and where He was in Jesus time. John must have known the two witnesses and did not take the time to explain them. Let's follow the Spirit. We know John, James and Peter accompanied Jesus to the Transfiguration. Jesus met two men, Moses and Elijah, who were in the Spirit. The event has its own story. We begin here to track the Spirit. When Jesus dies, the curtain in the temple tears. He we track the Spirit again. 50 days later in an upper room, the Spirit falls on the people who were in the upper the room. If we used the allegory only as far as two men, drop that allegory and follow the Spirit. We could say the Spirit fell on the first set of believers. The Spirit has since been falling on believers through the ages. The two men are metaphor for all believers. The same two men are the believers in the time of the 1st resurrection. They, the believers, die. 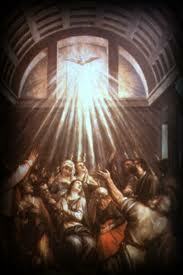 I believe one of the witnesses proclaiming the coming second Pentecost to all nations is vassula ryden. Google her to find her. Read the book True Life In God.